Nothing beats a much-needed vacation...except a free one! Thank you to all my customers and downline who helped my earn the 2014 Stampin' Up! Grand Vacation cruise to the Western Caribbean! And a special shout out to my sister Yvonne for staying with the kids so that my hubby Jim and I could take this incredible trip! This year's incentive trip was a little different than past years because all demonstrators worldwide were on the same trip! Demonstrators from the United Kingdom, France, Germany, Netherlands, Australia, New Zealand, Canada, and the United States were on board Royal Caribbean's Allure of the Seas. 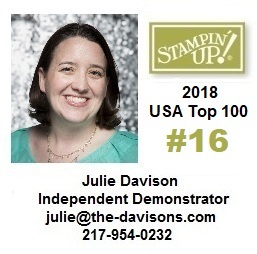 Even with all the demonstrators and their guests and the Stampin' Up! staff and Board of Directors, we still only made up 12% of the cruisers on board! I'll give away a free stamp set to the first person who can find me in this photo! I have never been on a ship so big! As I mentioned in yesterday's post, Jim and I participated in a walk-a-thon and walked ten laps around the ship, which was the equivalent of 2.5 miles! Our first stop was Labadee, Haiti. The area where we were was owned by the cruise line, so it was mostly beach, excursions, and a few shops. Jim and I went parasailing! It was so calm and peaceful up there! In the picture below, you can see our cruise ship in the background. On the of big attractions in Labadee was the 1/2 mile long zip line. Jim nixed that right away, but I did get him to try zip-lining for the first time back on the ship! It was a really short course, so it took three times as long to get the gear on and off than it did to zip across! 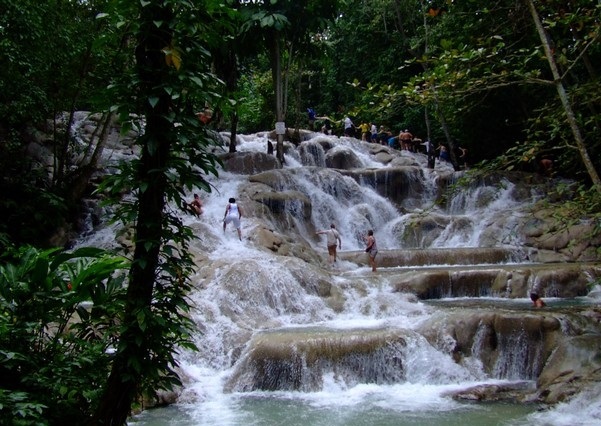 In Jamaica, we climbed the Dunns River Falls and then enjoyed the afternoon at a local resort to eat lunch and swim. On the "at sea" days, Stampin' Up! held a few get togethers. We had a General Session the first morning and a Stamp & Share event later in the week. At the Swap & Share, we picked up our swaps and got to see top demonstrators share project samples. I didn't take many pictures of the demonstrations, just the card samples. Here are a few things that were shared. Almost every night on the cruise, we enjoyed a variety of shows, including a Broadway production of Chicago, an ice show, a diving and water acrobatics show, and live comedy. It was such a treat to have so many "date nights" packed into one week! I'm not much of a "sit by the pool" girl. In fact, we did not sit by or use the pool on the ship at all! I do love beaches though and I love snorkeling! Our last port was Cozumel. Jim and I took a taxi to Chankanaab Park and spent the day snorkeling and enjoying park attractions like the Sea Lion show. The reef and fish right along the shore at the park were spectacular! It was definitely one of the best snorkeling experiences that I've ever had! One of my favorite part of any incentive trip is visiting with my fellow demonstrators and friends across the country (and now world!) that I only get to see a few times a year. I didn't take a lot of pictures of us with friends, but here are a couple. I also didn't do a great job taking pictures of all of our pillow gifts (left nightly on our bed) or the prizes I won in the Hospitality Room each day, but my friend Rachel Tessman (pictured with me above) has some great photos of all the goodies we got on the trip. You can see her photos from the cruise here. Beautiful photos! Looks like a grand time was had by all. Thanks for sharing. I would like a hint...what were you wearing in the photo? Are you on the right underneath the blue mural and the white pole? Thanks for sharing your wonderful photos...happy that you and your husband got couple time for a week!